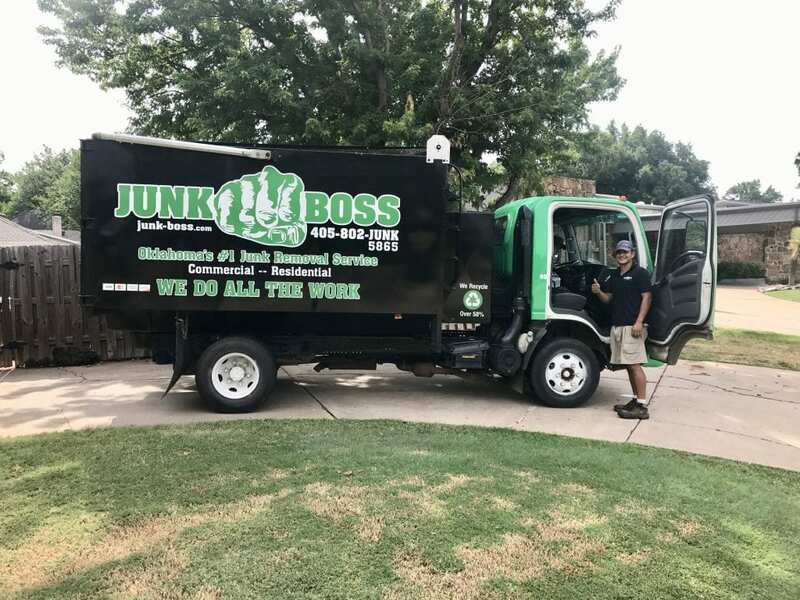 The Junk Boss team wants to make scheduling a junk removal job or a dumpster rental as easy as possible. Here are some of the most pressing questions that our team answers for our customers almost on a daily basis. Question: Is junk removal free? Answer: No, Junk Boss’s junk removal service is not free and we are not a non-profit! Our flat, volume-based pricing covers transportation, labor and all disposal fees. Question: Do you buy cars, sell car parts or tow/haul cars? Answer: Junk Boss is not a towing company or chop shop and we do not sell car parts. We offer valet junk removal services and dumpster rentals for residents and commercial properties. Question: Do you move items from one location to another? Answer: Junk Boss is not a moving company. We pickup junk from one location and transport it to the dump, recycling center or donation drop-off locations. Question: Do you haul appliances? Answer: Junk does haul appliances and many other items! To see a full list of everything Junk Boss can help you get rid of, visit our Junk Removal Services page. Question: Can I drop off junk at Junk Boss? Answer: Junk Boss is not a drop-off location for junk, trash or other items. We offer valet junk removal services where our team comes to you to lift, haul and dispose of the items for you. Question: Can the Junk Boss team come inside to remove junk? Answer: Our courteous junk removal team can remove junk from any part of your house or office. Simply invite them in and show them where the junk is, then they will do the rest! Answer: Yes, Junk Boss does donate items if they are in a good enough condition to do so. Question: Do you resell the items you pickup? Answer: Junk Boss does not resell any items we pickup. All items are disposed of at the dump or recycling center or donated. Question: Can you place a dumpster on the street? Answer: A permit is generally required to place a dumpster on a street, sidewalk or public property. If you want to place the dumpster in your driveway or a privately owned space, you will not need a street permit. If your neighborhood has a homeowners association, you may need permission before placing a dumpster on a residential street. Question: If I do not keep the dumpster for 10 days do I get a discount? Answer: No, the 10-day rental is included in the price of the dumpster. You can have the dumpster picked up early, but there is no discount. Question: Are there any items that cannot be disposed of in the dumpsters? Answer: Yes, there are items we do not accept in dumpsters. They are: Tires, Refrigerators and hazardous waste. For tires and refrigerators please inquire about our valet junk removal services. Question: What happens if the contents exceed the fill line of the dumpster? Answer: If the container “Fill Line” is exceeded, Junk Boss will not haul away the container until the extra items are removed. If need be, Junk Boss can bring a second container for the extra items, but you will incur the additional cost of the second container. Question: Does someone need to be there when my dumpster is dropped off? Answer: If dumpster placement is communicated before the dumpster is dropped off, you do not need to be present. Our team can text or email you a picture to ensure it is in the correct location. Question: Do you charge for estimates? Answer: Junk Boss does not charge for estimates and they are obligation-free! Junk Boss uses volume-based pricing. We can give you an estimate over the phone and will finalize the cost, based on the amount of junk, when our team arrives. Question: Do you work Saturdays? 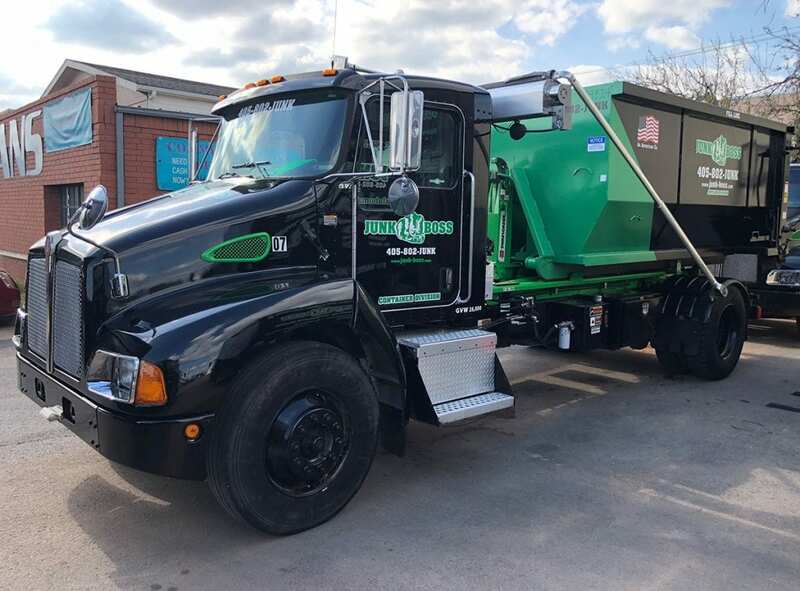 Answer: The Junk Boss team is available to pick-up or drop-off dumpsters or offer valet junk removal services on Saturdays by appointment only. You must cancel your appointment at least 48 hours in advance. If you do not cancel 48 hours in advance there is a $75.00 cancellation fee. Question: How far in advance should services be scheduled? Answer: Generally, it’s best to schedule services 48 hours in advance. In some cases we can offer same-day or next-day service for dumpster rentals and next-day service for junk removal jobs. Some jobs with specific requirements may require advance scheduling. Please call our team to schedule your specific project. Answer: Junk Boss services the greater Oklahoma City metro area. Please refer to our Service Area help page to determine if you are located within our service radius. Feel free to also call our team for an exact answer. Question: Do you offer military or senior citizen discounts? Answer: At this time Junk Boss does not offer discounts to military personnel or senior citizens. As a local junk removal service, we offer volume-based pricing which includes labor and transportation. We’ll also never charge anyone any hidden fees. Question: When is big trash day? Answer: The exact date of your big trash day can vary from neighborhood to neighborhood. Please visit the OKC Utilities help page to find your next big trash day date.